Enjoy a discounted Las Vegas visit through Vacation Now! Vacation Now is here to help you maximize your vacations through an innovative approach where resorts work with us on wholesale pricing so we can offer you deep discounts on their behalf. In some cases you won’t have to pay anything except a refundable deposit. 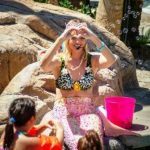 We have deals with properties in Maui, Orlando and right here at family friendly Tahiti Village, a relaxing island-themed property in Las Vegas! One of the most important things in life is making positive memories, and one of the best ways to do that is to take a vacation now. How Are The Prices So Low? We get discounted rates through direct agreements with our resort destination. In exchange for taking advantage of these rates, purchasers of Vacation Now packages agree to participate in a resort preview at their destination, where they will see all the amazing amenities and benefits the properties have to offer. According to Project Time Off there are over 705 million vacation days that went unused in 2017. 52% of the workforce left vacation time on the table. Can you believe that so many people would let their vacation time go to waste? We have all been guilty of it for different reasons, citing a lack of time or money. Don’t miss out on the chance to vacation every year and build memories that will last a lifetime. Don’t let yourself be on the wrong side of these statistics. Check out some of our fantastic offers now. You can enjoy a generously discounted visit when you book a Las Vegas getaway with Vacation Now. We have an innovative approach to vacationing where resorts work with us on wholesale pricing so we can offer you deep discounts on their behalf. In some cases you won’t have to pay anything except a refundable deposit. We get discounted rates through direct agreements with our resort destinations, including beautiful Tahiti Village in Las Vegas! 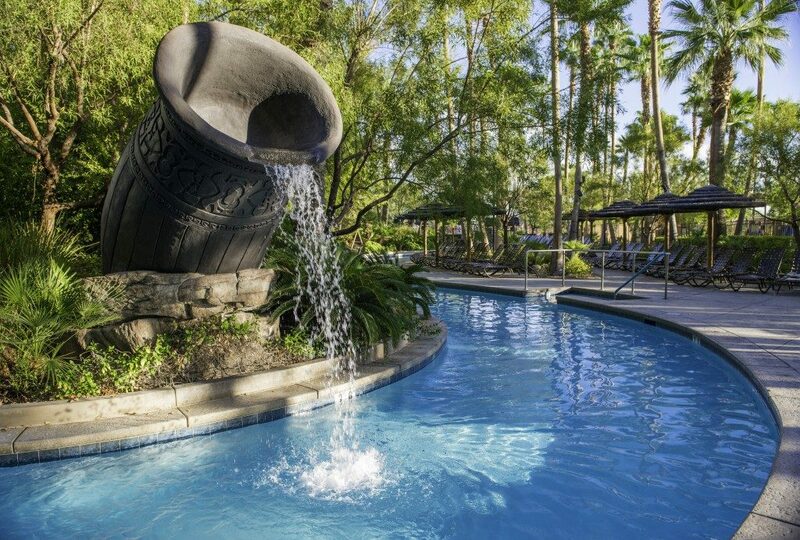 If you’ve never been to Tahiti Village, you simply must experience a getaway to Las Vegas’ tropical resort retreat. 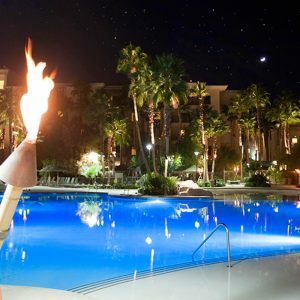 Featuring a sand-entry beach pool, lazy river, condo-style accommodations, two 24-hour hot tubs, an onsite restaurant and spa, and shuttle service to the Strip, Tahiti Village has everything you need to relax, unwind and get away from it all. In-room amenities in larger one-bedroom and two-bedroom units include a fully stocked kitchen, washer-dryer, jetted tub, steam shower and private balcony for your convenience and enjoyment. In exchange for taking advantage of our discounted rates, purchasers of Vacation Now packages agree to participate in a resort preview at their destination, where you will see all the amazing amenities and benefits the properties have to offer. As you’ll discover once you’ve taken your preview, Tahiti Village is a wonderful vacation destination. We think one of the most important things in life is making positive memories, and one of the best ways to do that is to take a Las Vegas vacation now through Vacation Now. So what are you waiting for? Book a visit today! 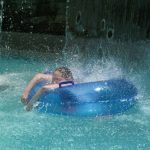 Plan a summer visit to Tahiti Village, Las Vegas’ family friendly resort. We’ve got you covered!